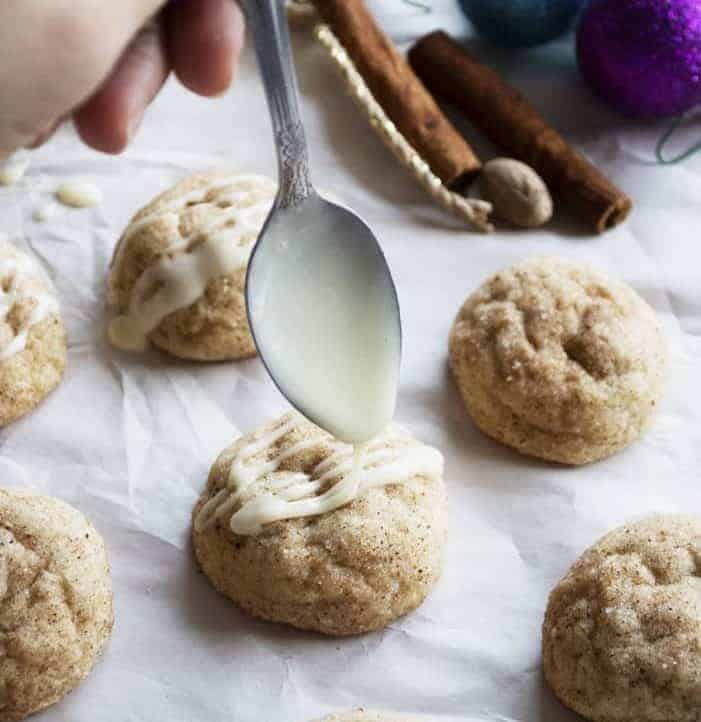 These super soft eggnog snickerdoodle cookies are made with REAL eggnog, loaded with extra nutmeg and rum extract, plus topped with a creamy, decadent eggnog rum glaze. The Christmas Cookie extravaganza continues. 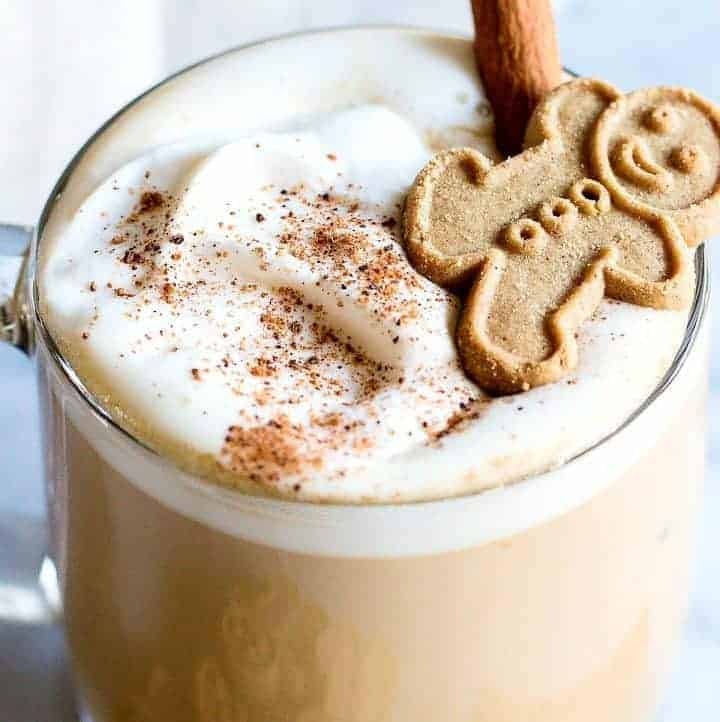 Today I have for you these uber soft, super tasty eggnog snickerdoodles. 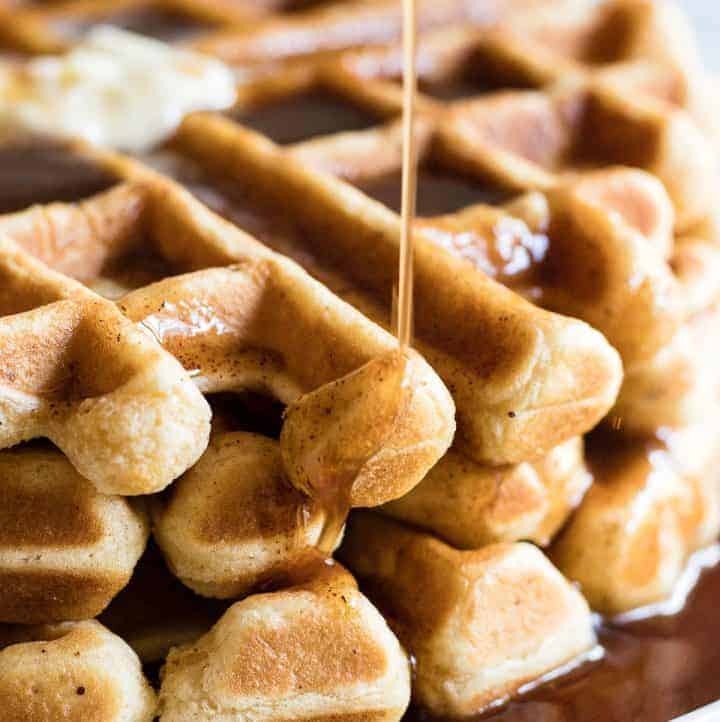 Loaded with real eggnog, rum extract, nutmeg, and cinnamon-y goodness….